Join Minnie on a special Easter egg hunt! When Minnie and Goofy accidentally hide Mickey’s lucky egg in the town Easter egg hunt, they need to rally all of their friends together to help find it. 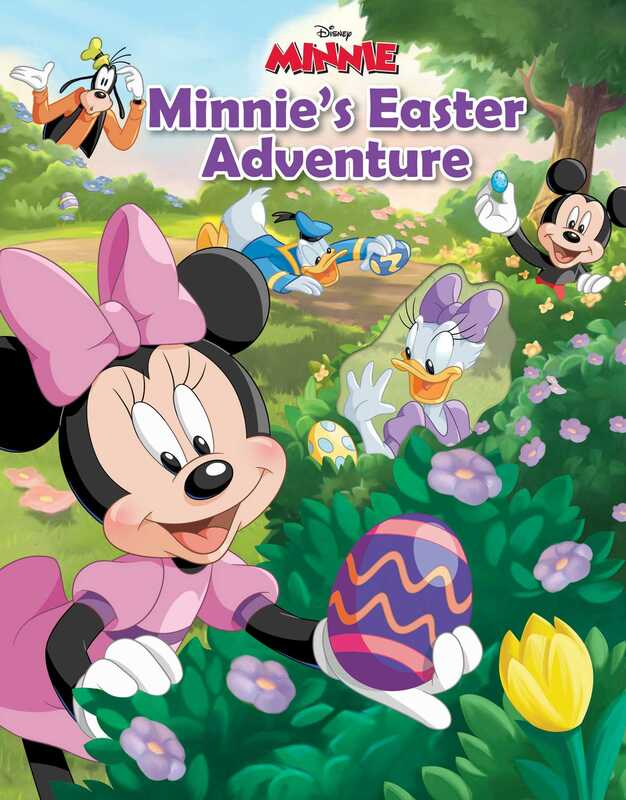 Follow along with Minnie and her friends as she hunts for a very special egg and ends up with an Easter surprise! Loter, Inc. is a creative design entertainment company that specializes in developing ideas with personality. John Loter and Shelley Loter are both former creative directors from Disney Consumer Products. With 30+ years of experience each, Shelley and John have worked in product development, publishing, illustration, animation, character design, video game development, comics, graphic design, packaging design, and retail/branding development. Loter, Inc. continues to work with various entertainment studios, contributing to the legacy of many of the world’s most beloved characters. Loter, Inc. also creates their own original characters and storylines. Developing characters with personalities that people can relate to is at the heart of Shelley and John's work. The highly stylized character designs are humorous, clever, and endearing. John and Shelley enjoy exhibiting every year at San Diego Comic-Con International and other shows, featuring these characters on merchandise, books, and animation. More books from this illustrator: Loter Inc.